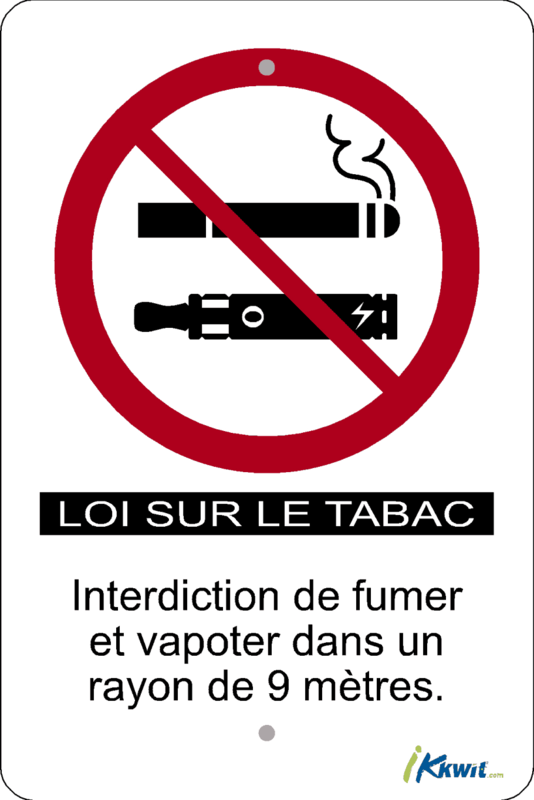 A9MV: No smoking, vaping within 9 meters sticker. 8 in. X 12 in. 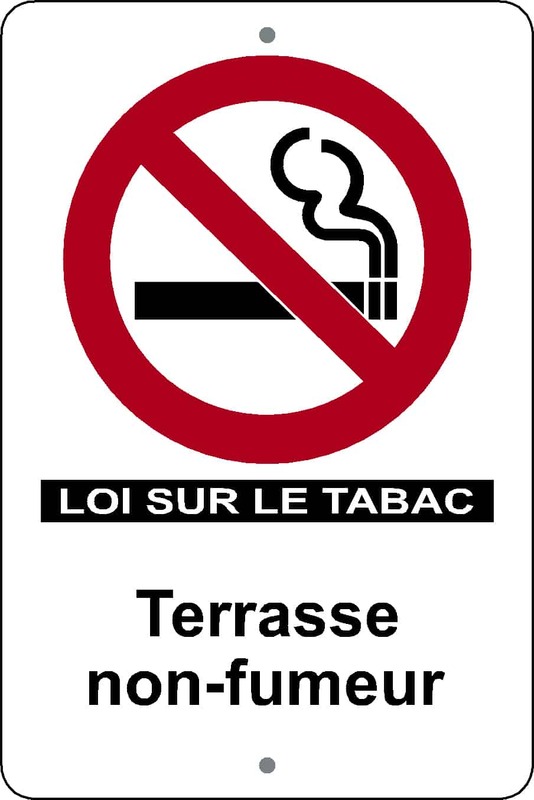 Printed on laminated vinyl. 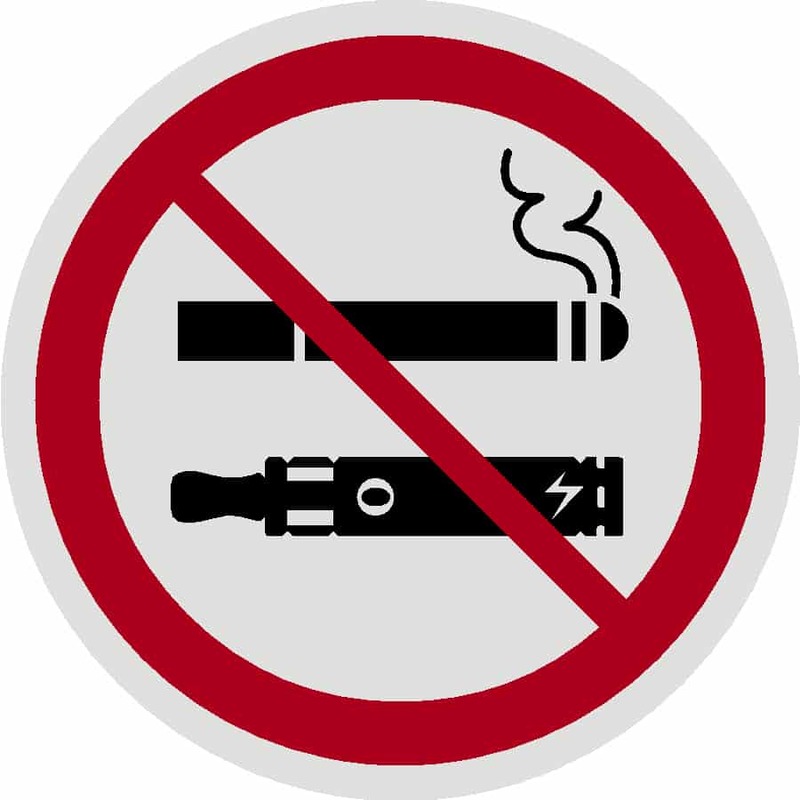 A9MVM: No smoking, vaping within 9 meters, sticker. 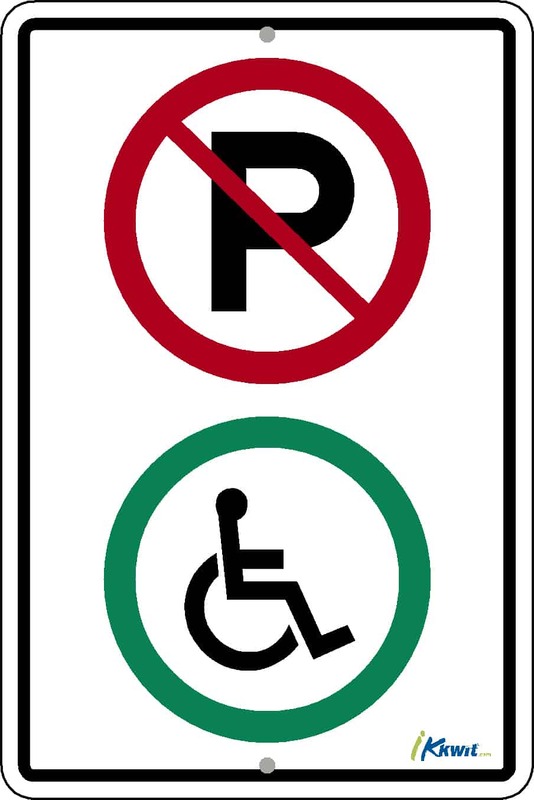 Use for butts only. A9MVMP: No smoking, vaping or pot within 9 meters, sticker. Use for butts only. 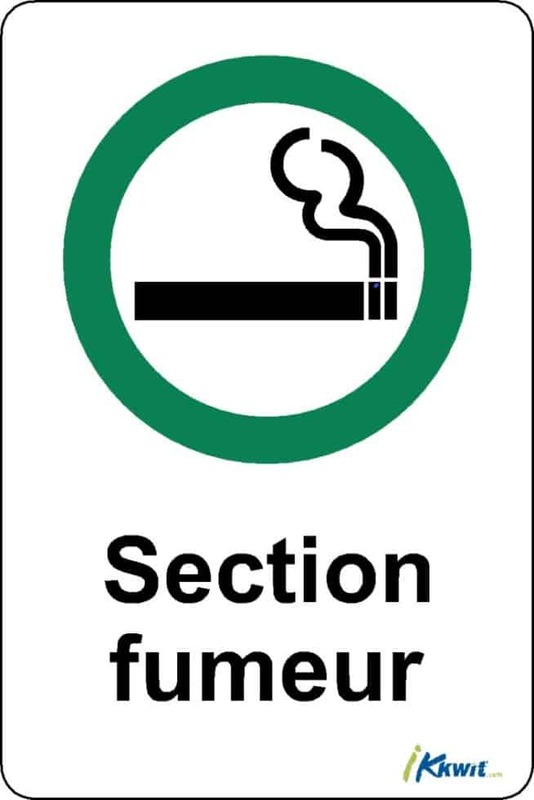 ACR: No smoking, vaping within 9 meters sticker. 3 po. X 3 po. Round & clear. 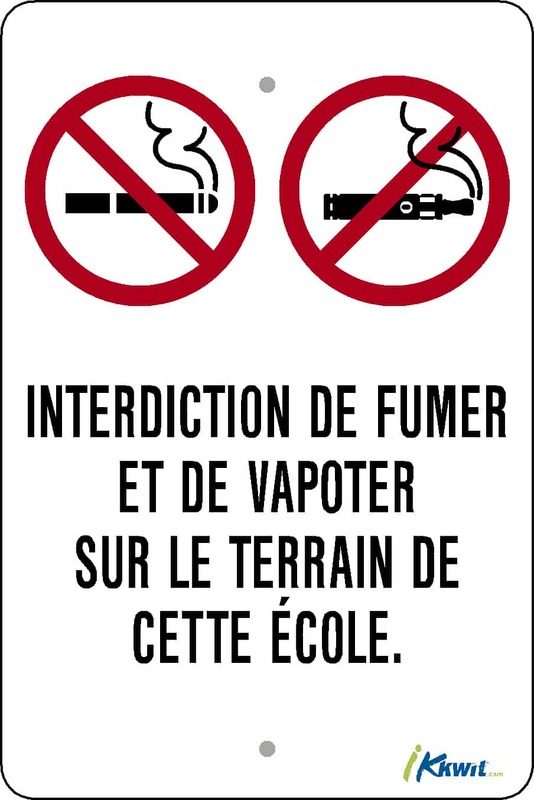 AITV: No smoking or vaping on the school property, sticker. 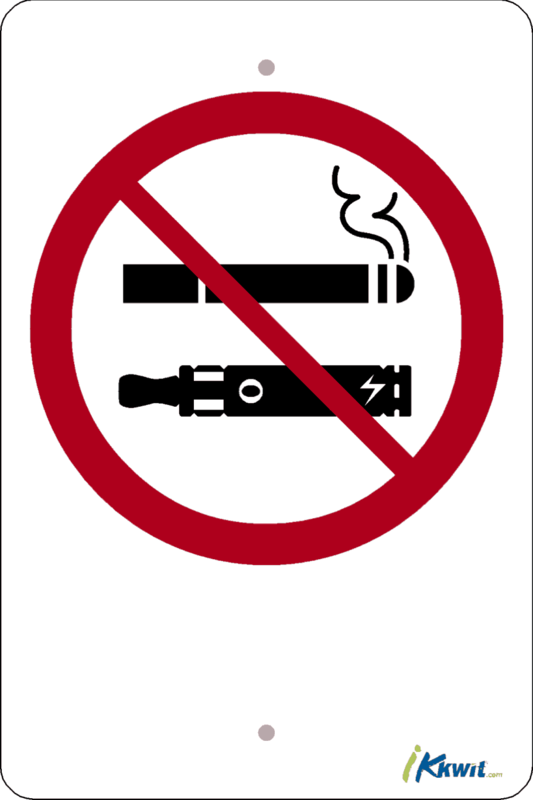 P9MVM: No smoking or vaping within 9 meters (Sign). Use for butts only. 8 in. X 12 in. in Polycarbonate. Laminated and resistant to UV rays. 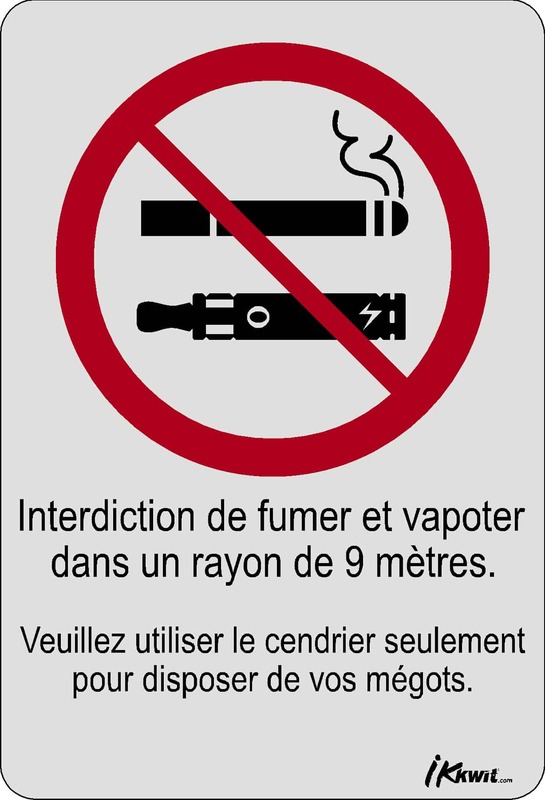 P9MVP: No smoking, vaping or pot within 9 meters (Sign). 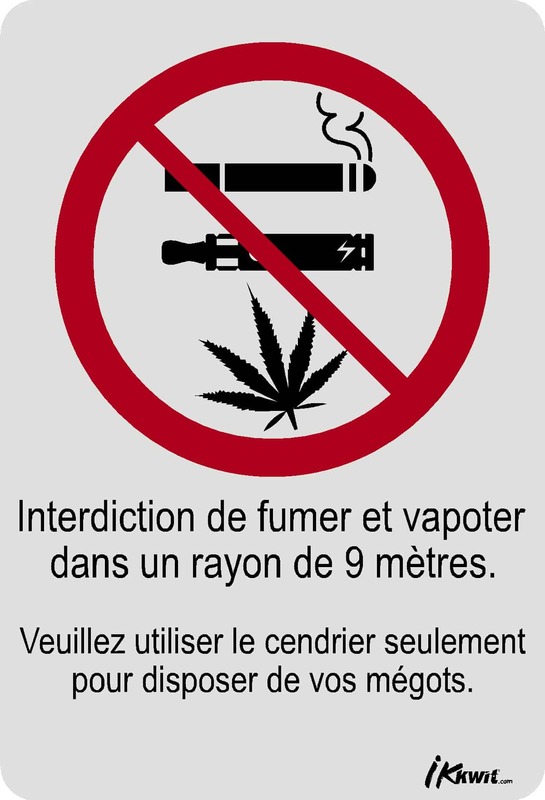 P9MVMP: No smoking, vaping or pot within 9 meters (Sign). Use for butts only.